Our Spring Wellbeing event is now fully booked. 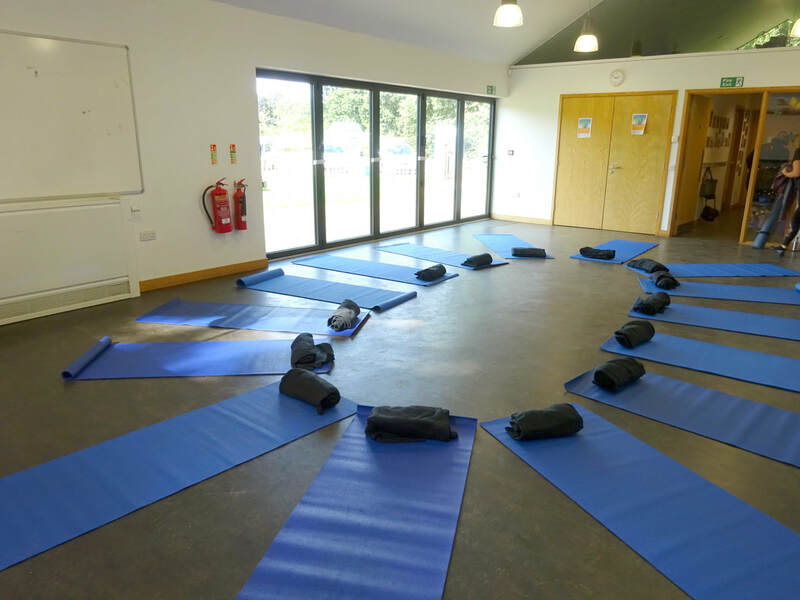 If you would like to register your interest for our Back to Nature Summer Wellbeing Afternoon on Saturday 6th July 2019, please click the button below to be taken to the form. ​£25 per adult / Early bird: 10% discount if booked and paid for before 28th February. Booking: Places are limited - book and pay in advance using the form below. 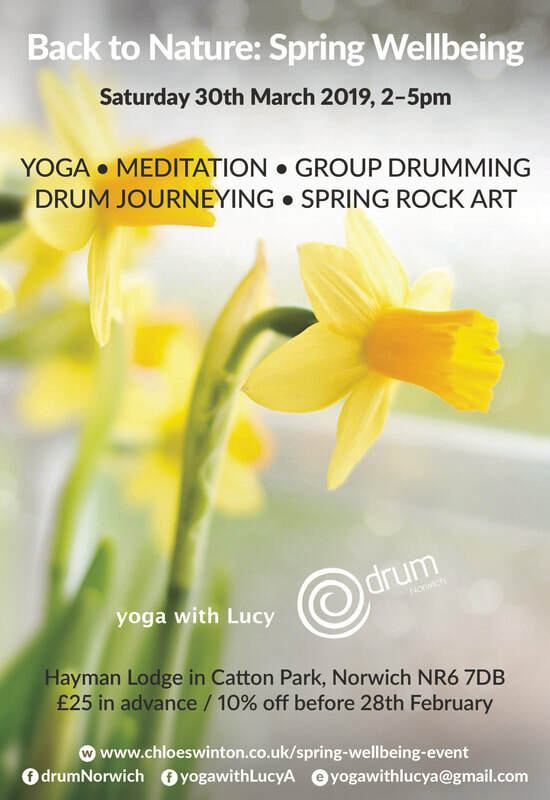 Chloë Swinton from drumNorwich and yoga with Lucy collaborate once again to bring you a wonderful Back to Nature Spring Wellbeing Afternoon. Let's spring forwards and connect with the earth, its green growth, abundance, blossoming everywhere. Take time to feel the increasing warmth and strength of the sun, empowering us to reach out for what we want, to take risks and plant the seeds that we have been nurturing and germinating. Welcome in change, revitalisation, and renewal of ourselves! We start the afternoon with a herbal tea and seasonal refreshments whilst creating a personal intention and focus for this time of year. A fun, dynamic flow for all, connecting movement with the breath, creating space for your own experience and explore your awareness. Each student will be supported on their journey, with variations and adaptions for injuries, health conditions and physical limitations. Using elements from Yoga Therapy and Ayurveda to aid in restoring the body safely and creating deep relaxation and harmony. Coming together with sound and vibration to share the fun and healing of a drum circle. Finding and exploring our own rhythms, expressing ourselves through the drum and enjoying the therapeutic experience of drumming. 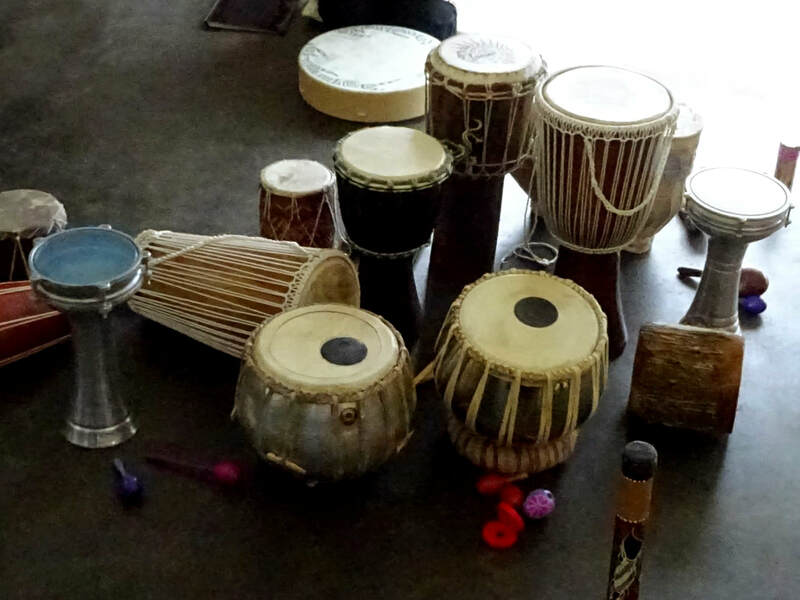 We use a variety of drums and percussion from around the world. If you have any drum or percussion instrument please bring it along. No experience necessary! A deeply transformative experience, which can bring peace, balance, insights and understanding; releasing negative feelings, blockages and emotions. With a repetitive drum beat, this slows our brain waves, rests the mind, and allows a deep inner connection. 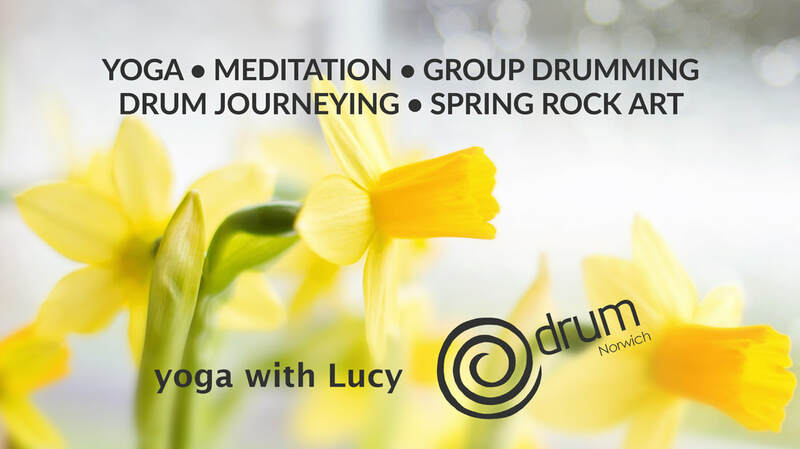 After being guided by an empowering Spring themed visualisation, there is space to take a personal journey in a safe and supportive environment. Chloë also uses reiki, and offers a personal drum wash during this experience. We come together using the beauty of nature, to mark our intentions into stone. Colouring our rocks we make space to focus on the new wishes we set at the beginning; to invite in and manifest now and for the season ahead. In ceremony we share our creations whilst our companions hold the space, allowing the deep, clearing, cleansing, purifying power of creativity to transform us all. Rock art is one of the oldest material forms of human expression and is found throughout the world. Ancient people created many different kinds of images, some simple and some complex. No artistic ability is required. As we end with a cuppa, we reflect on the afternoon and offer you a little Spring memento to bring the positive energy forward from the day and remember our special time together. We look forward to welcoming you to our seasonal afternoon, which will leave you feeling nurtured, relaxed and grounded. This is such an amazing event and it’s great to see something of this nature in Norwich. People nowadays have such busy and stressful lives that it’s so important to take time for yourself each day. Mediation and yoga have done amazing things for both my anxiety and my depression and I can’t recommend these or the wellbeing events enough! Chloë Swinton is a Holistic Therapist with over 15 years of supporting people from all walks of life, a qualified Reiki Drum Practitioner and Integrative Counsellor. She has been facilitating drumming sessions for over two years, with a focus on the therapeutic benefits of sound and vibration. Chloë welcomes those who have never picked up a drum before to simply enjoy the experience without any judgement. You will receive confirmation of your place and online payment details by email from Lucy. Your contact details will be held securely and only used for the registration of this event. Please be aware refunds are not available once payment has been processed.